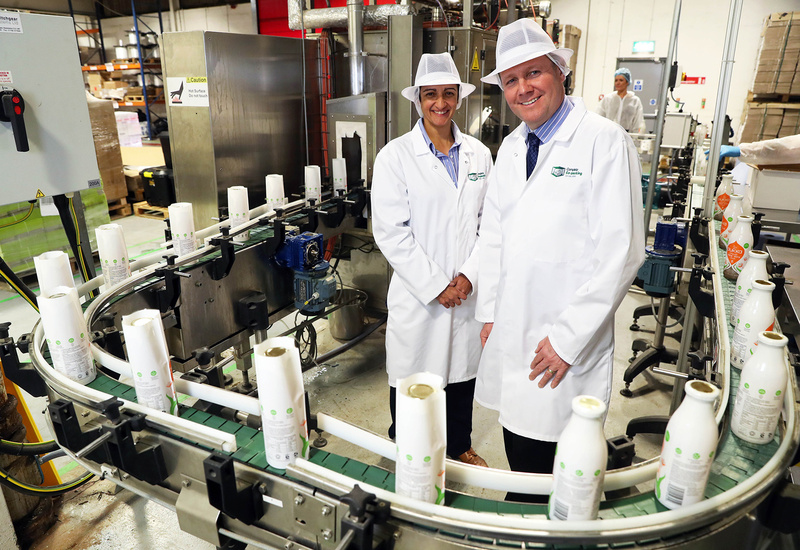 A £110,000 investment in new machinery has been announced by Wales based Complete Co-Packing Services Limited. Specialising in the organic and non-organic dried food and liquid market, the company is now able to offer automated Steam Jet Sleeving, 3-4 sided seal Sachet manufacture for powders and liquids and Linear weighing for cereals, grains and confectionary packing. The new Clever STJ2 Steam Jet Sleeve Tunnel will shrink sleeves on to bottles, jars and cans. Made in Italy, the machine has been supplied by Clever Machines. Supplied by Autopak, the new horizontal sachet machine has a range of producing 60 – 130 mm 3-4 sided seal sachets, with integrated digital printing for BBE & Batch Codes. It is ideal for individual convenience packs and on-the-go products. A twin head linear weigher is now also available for customers requiring the filling of cereals, grains and confectionary. This equipment delivers accurate and consistent measures at a cost effective throughput. With the ability to be coupled to our inventory of packaging machines, we are able to deliver a wide range of pack formats. “Versatility is paramount in our industry which is why we are so pleased that these new machines can handle a range of product sizes and production runs from low volume, which is ideal for new product launches or one-off projects, to high volume runs for established brands;” adds Steve Nicholls. This investment is part of our business strategy that is focused on future development and efficiency. It will enable clients to benefit from a one-stop-shop service offering that includes mixing, blending, filling, pasteurisation, sleeving, packing, storage and distribution.